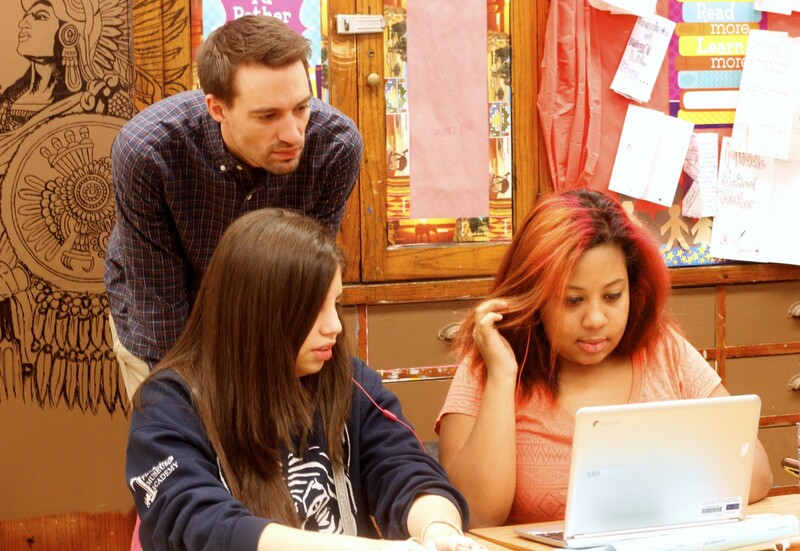 Matt Didier, software developer at Signal, helps students at Wells High School learn to code. Hour of Code is a global initiative to introduce students around the world to computer science. Up to 100 million students have participated in nearly every country on Earth. Even President Obama participated to become the first U.S. president to write a line a code. On Tuesday, Matt Didier and I volunteered for an event at Wells Community High School here in Chicago. Each of us was assigned to a classroom where, along with other volunteers, we mentored a class full of students that in most cases had never seen a line of code before. The students, working on Chromebooks, were directed to the Hour of Code website. They spent the hour learning how to program Angry Birds, Flappy Bird, even Elsa from “Frozen”. Hour of Code volunteers prepare for the day. I was especially excited to help out at this event. As a former high school teacher, this event really got me excited to get back in the classroom. I was curious how learning to code in just an hour would be introduced, and I was pleasantly surprised. 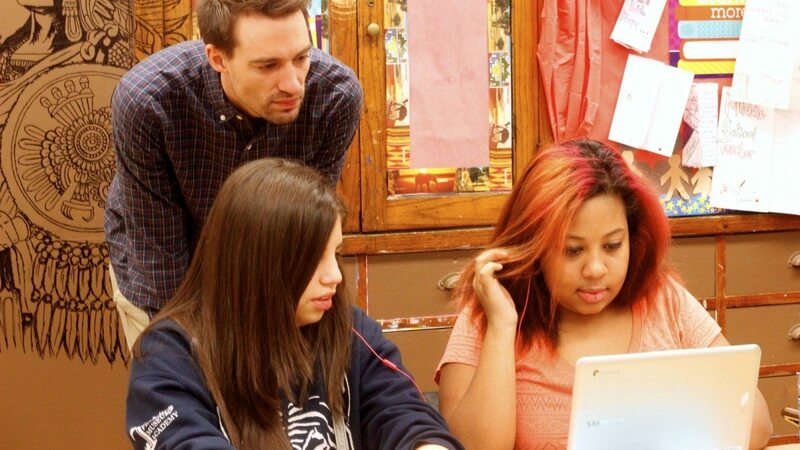 Instead of focusing on the syntax of a specific language, the Hour of Code website used user-friendly code blocks that students could drag and drop to achieve desired results. Both of us reflected on how excited and determined the students were to complete exercises. We hope that the small exposure we helped provide will spark enough interest to keep the students engaged in learning how to code. Zach Rivest is a software developer at Signal.